It is an offence to drive through a red light. You’ll either be given a Fixed Penalty Ticket for running a Red by police at the roadside, or be sent a Fixed Penalty Notice. For running a red at traffic lights, you may be given the chance to pay a £100 fine and take 3 penalty points on your licence without going to court. It is open to you to accept this or to contest the matter in court. 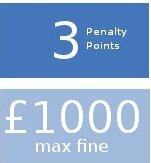 If you already have 9 points or more on your licence, you will be prosecuted in court. If you are convicted, the court will put 3 points on your licence and you will be totted up and banned. The fine can be up to £1000 but it would normally be considerably less than this. There are two types of prosecution regarding Traffic Lights. The most common follow from two police officers observing what they consider to be a violation of the Traffic Signals rules. 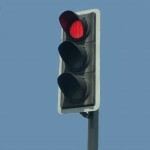 Other Traffic Light cases arise from the operation of traffic cameras at junctions. If you would like us to undertake a forensic examination of the case against you, consider and explain your lines of defence, please be in touch. Running a red light is an offence under section 36 of the Road Traffic Act 1988.